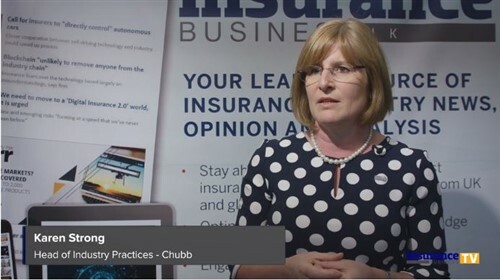 Jo Mason (pictured) has been in the insurance industry for 33 years and has a wealth of knowledge and experience in both local and international markets. 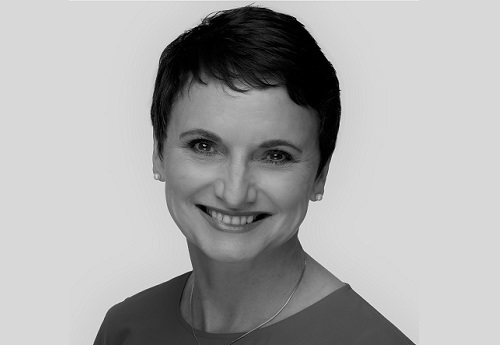 She joined NZbrokers as chief executive officer in 2016 – a career highlight, which she says made her the first woman NZ CEO of a broking entity. As a key player in the industry, Mason shares with Insurance Business how she got to where she is today, as well as what she hopes the next chapter for the insurance market will be. Insurance Business: Who or what has inspired you to be involved in the insurance industry? Jo Mason: I love the fact that we make a difference in the lives of our clients when they need us the most. I will never forget being on the ground in Christchurch handing out water and blankets to people (not just our clients, but anyone who needed it) and reassuring them that we will be there for them. Or flying to Invercargill the day after the Stadium Southland collapse to again reassure the people of Southland that we will rebuild it. That’s what gets me out of bed in the morning. IB: You previously worked for Allianz’s Australian business. You also worked with IAG Australia and New Zealand. What have you learned from those experiences and how do these lessons help you now? 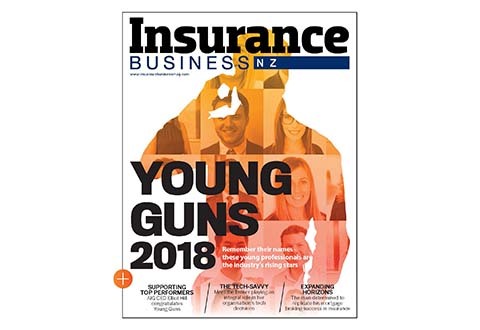 JM: I learnt a lot about both the NZ and Australian insurance markets and the similarities and differences, which helps in my current role, but it was more the leadership and mentoring programmes I was able to attend when working for these organisations that has been invaluable to me. The corporate world was also great for teaching me the importance of good governance. Governance helps both with process but also with ensuring the safety and security of the organization. As well as this, having a robust strategy and executing well was also something I learned. IB: Tell us briefly about your company and its role in the insurance industry. JM: At NZbrokers, everything we do must always link to our purpose, which is to enhance and add value to our partners’ businesses, enabling them to deliver the best possible insurance and risk solutions to their clients. Our members are independent owner-operated local businesses, meaning that they can provide genuine broking services by seeking out the best insurance solutions. With us supporting them, brokers have the backing of a larger collective, so they benefit from relationships held on behalf of the network as well as access to the best-in-class solutions and partners in the technology and infrastructure space. JM: Leading NZI at the time of the Canterbury Earthquake(s) and Stadium Southland collapse. It was humbling to be able to lead our people at a time of great uncertainty and a degree of trepidation. It is amazing to see the resilience and humanity of people in those situations. Being the first woman NZ CEO of a broking entity is also an accomplishment I am very proud of. IB: What are the main challenges facing brokers today? JM: Remaining relevant. To be fit for the future, brokers need to embrace the change that is happening (client behavior, digital world, regulation) and adapt. I love a quote I heard somewhere that brokers need to shift from “transaction-driven advice to advice-driven transaction.” Where a broker can truly prove their worth is in the advice they give their clients and the tailoring they bring to the individual circumstances of that client. They need to embrace technology to eliminate all the things that keep brokers chained to their desks and use the time that has been freed up to really understand the client in order to demonstrate their value through the quality of their advice. IB: What are your hopes for the insurance industry moving forward? JM: That the profession gets the positive recognition it deserves. The industry has done a very good job in responding to both the Canterbury and the Kaikoura Earthquakes, but the general public doesn’t know this because it doesn’t make for a good story in the mainstream media. It is highly frustrating to industry insiders. [I also hope] the broking segment embraces digital technology – to date this has been very slow. JM: Be curious, continue to learn and adapt, and you will find this industry SO rewarding. I love it – and I’ve been in it for 33 years! Think about where you want to be in five years, and what you are doing to remain relevant. Many of the jobs of today will not be there in five years – so what are you doing about it? IB: What is one thing that most people wouldn’t know about you? I hate coriander; I once (unsuccessfully) tried to save stranded whales on an isolated beach when no-one was around; I can’t walk past a suffering creature – no matter what size. JM: Raising orphaned elephants in Africa or helping house homeless dogs in Thailand.